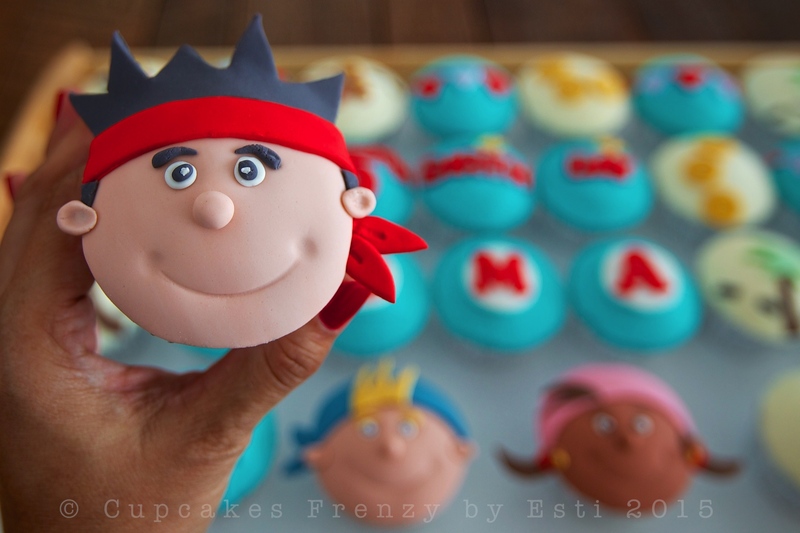 Definitely one of my favourite project this week, transforming vanilla cupcake into Jake, Izzy and Cubby, a band of young Pirates from Disney Junior TV series. I also made edible map, gold doubloons, anchor and skull from sugar fondant, so much fun! 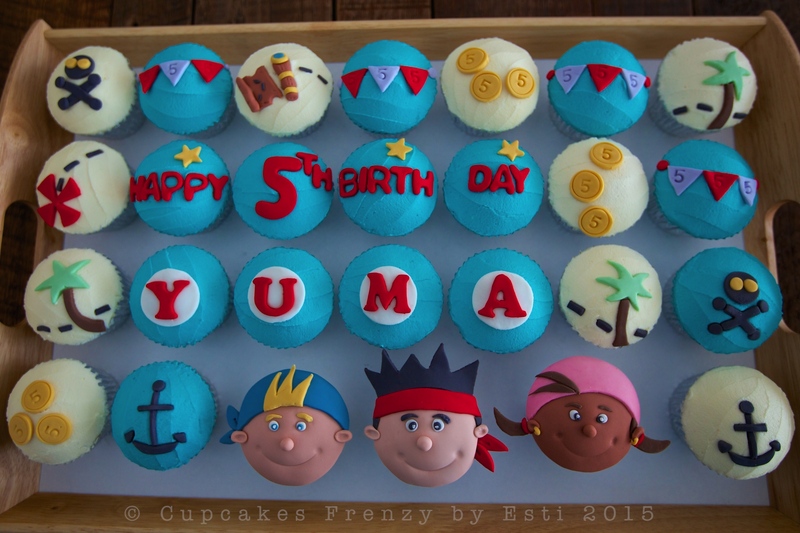 These cupcakes are for Yuma’s birthday celebration in school. Thank you very much for this morning!!! My son really excited with your cupcakes!!! I order you again if I have some celebration!! 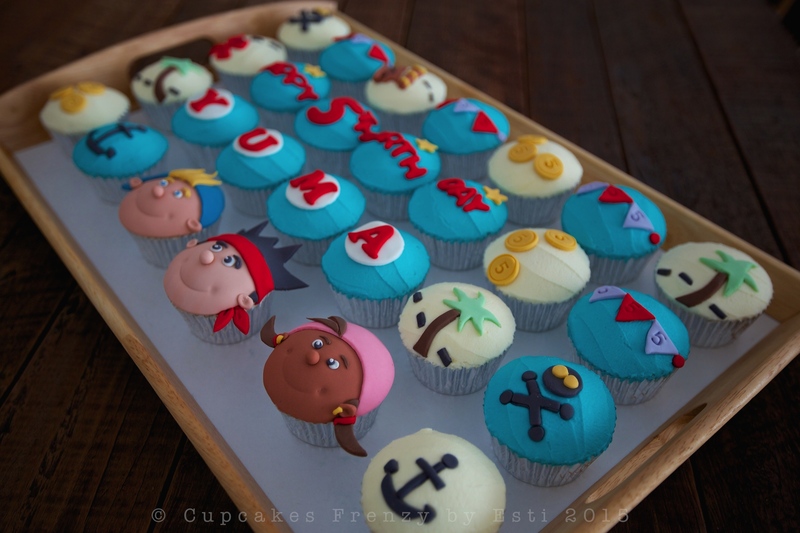 This entry was posted in birthday, buttercream, cameraholic, Cupcakes, favorite and tagged 5th birthday, baked from scratch, birthday celebration, birthday cupcake, edible art, Gift Ideas, jake izzy cubby cupcake, jake never land cupcake, Manila, vanilla cupcake. Bookmark the permalink.